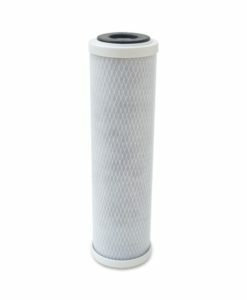 Compatible replacement water filter cartridge to the Aqua Pure AP1001. 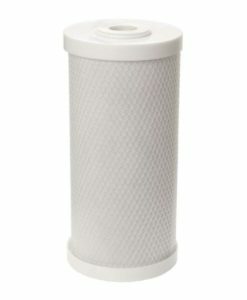 Premium 1 micron whole house water filter cartridge for sediment, dirt, and rust. 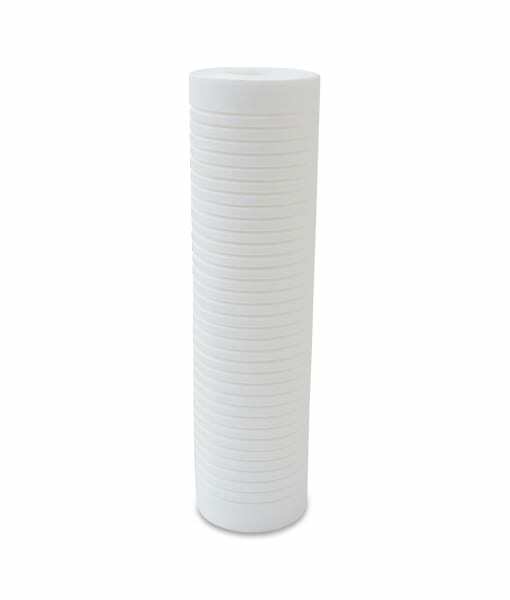 Upgraded Replacement Water Filter for 3M Aqua Pure AP1001 – Grooved, 1 micron whole house water filter cartridge that reduces ultra fine sediment, sand, dirt, rust, and more. 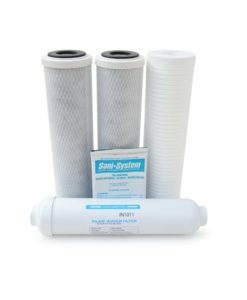 The Premiere PPG98/01 is an upgraded filter replacement for 3M Aqua Pure AP1001 whole house water filters. 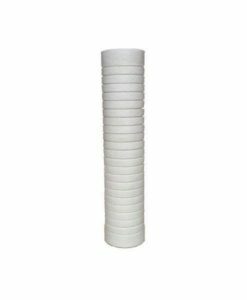 This premium 1 micron water filter cartridge fits any standard 10″ filter housing for brands such as 3M Aqua Pure, American Plumber, Culligan, General Electric, Honeywell, OmniFIlter, Whirlpool, and more. 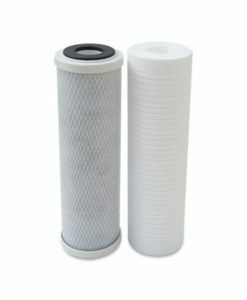 The PPG98/01 has significantly longer cartridge life than the Aqua Pure AP1001 meaning you don’t have to change this filter as often, saving you money! 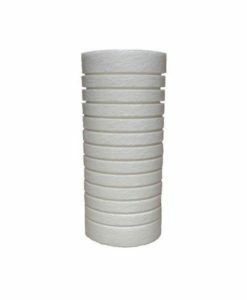 It reduces sediment, sand, dirt, silt, rust, and other ultra fine particles in your drinking water to improve taste and clarity. 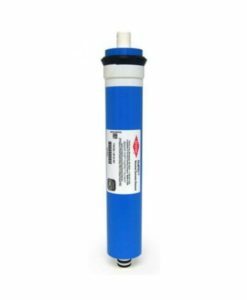 With an outstanding flow rate of 8 gallons per minute, this cartridge provides a steady, reliable supply of filtered water for drinking, baths, and laundry. 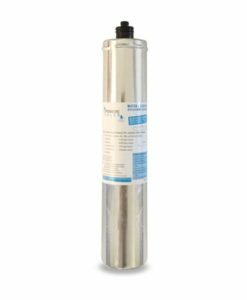 The PPG98/01 is ideal for 3M Aqua-Pure whole house water filtration systems and a wide range of residential, industrial, commercial and food service applications. 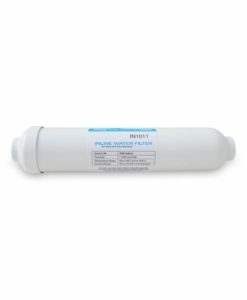 Aqua Pure AP101, Aqua Pure AP101S, Aqua Pure AP101-S, Aqua Pure AP101T, Aqua Pure AP101-T, Aqua Pure AP102, Aqua Pure AP102S, Aqua Pure AP102-S, Aqua Pure AP102T, Aqua Pure AP102-T, Aqua Pure AP109, Aqua Pure AP-109, Aqua Pure AP11, Aqua Pure AP11S, Aqua Pure AP11-S, Aqua Pure AP11T, Aqua Pure AP11-T, Aqua Pure AP12, Aqua Pure AP12S, Aqua Pure AP12-S, Aqua Pure AP12T, Aqua Pure AP12-T, Aqua Pure AP1610, Aqua Pure AP1610SS, Aqua Pure AP1610-SS, Aqua Pure AP2610, Aqua Pure AP2610SS, Aqua Pure AP2610-SS, Aqua Pure AP51T, Aqua Pure AP51-T.
3M™ Aqua-Pure® and 3M™ CUNO® are trademarks of 3M Company. All other trademarks are the property of their respective owners.